Protests against military rule resulted in the killing of at least 28 protesters by security forces in Cairo and Suez. Riot police and the army used excessive force to disperse protesters, who later alleged that they were tortured or otherwise ill-treated in custody. Protests, sometimes violent, by opponents and supporters of the President took place in November and December. Unfair trials by Emergency Supreme State Security Courts continued and security forces continued to act above the law. Former President Hosni Mubarak and the former Minister of Interior were sentenced to life imprisonment for killings of protesters during the 2011 uprising; many other suspected perpetrators were acquitted. No members of the Supreme Council of the Armed Forces (SCAF) were held to account for violations committed during their rule. President Mohamed Morsi established a committee to investigate violations committed between January 2011 and June 2012. He issued pardons for some civilians tried by military courts and a general amnesty for offences by protesters during demonstrations against military rule. Discrimination against religious minorities persisted. Journalists and activists were prosecuted for “insulting the President” and blasphemy. Women faced discrimination in law and practice as well as widespread sexual harassment. Thousands of families continued to live in “unsafe areas” in informal settlements (slums), while thousands more faced threats of forced eviction. Migrants were reportedly killed by security forces while attempting to cross into Israel or were exploited by traffickers in the Sinai Peninsula. At least 91 people were sentenced to death. It was not known whether there were any executions. 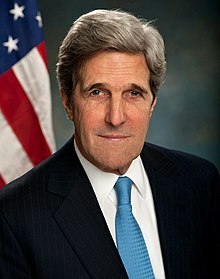 Declaring that “freedom of religion is a core American value,” Secretary of State John F. Kerry Monday released his department’s annual worldwide religious freedom report, which found “worrying” and “negative trends” around the globe. Fifteen years ago, on May 14, 1998, U.S. House of Representatives voted in favor of a landmark effort to promote a pivotal human right abroad. In October of that year, the Senate also acted and President Clinton signed the International Religious Freedom Act, or IRFA, into law. Among other provisions, IRFA created the Office of International Religious Freedom in the State Department and the independent, bipartisan Commission on International Religious Freedom (USCIRF), of which I am chair. As part of our mandate, USCIRF issues an annual report on the global state of religious freedom. On April 30, we issued our 2013 report. How is this freedom faring today? As our report confirms, it is imperiled daily. Violations range from restrictions on building houses of worship to more severe abuses, including arbitrary detention, torture, and even murder. For humanitarian reasons alone, we should care. But in our ever-uncertain post-9/11 world, we have further cause for concern. GENEVA (8 May 2013) – The UN High Commissioner for Human Rights Navi Pillay on Wednesday urged the Egyptian Government to take steps to ensure that the current version of a draft law on civil society organizations is laid open to careful examination by Egyptian and international human rights experts, and, based on their advice, is brought into line with international standards, before it is adopted by the Shura Council. 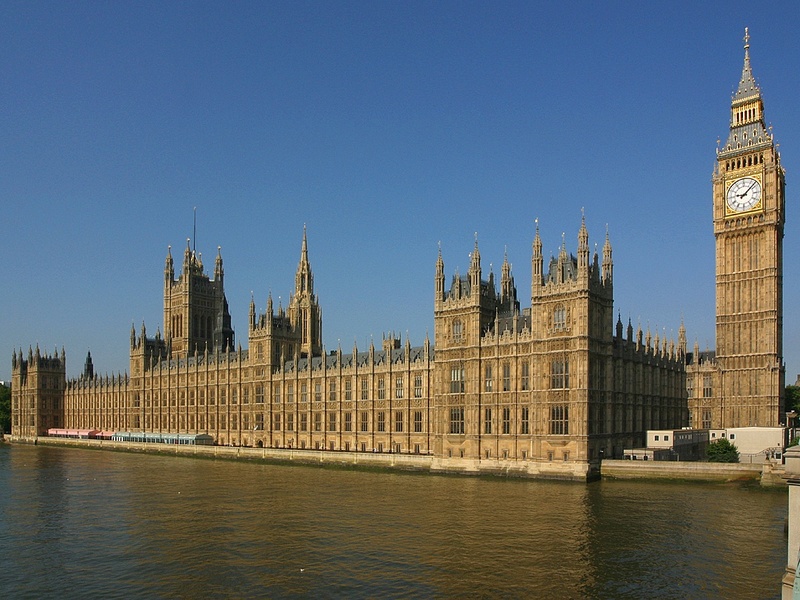 Naomi Long (Belfast East) (Alliance): I am pleased to have secured this debate on the increasing threat to freedom of religion in certain parts of the world, which is an important issue. Due to time pressure, I apologise in advance for the fact that I may not be able to accept many interventions. These are issues, however, on which I have placed significant emphasis during my time in Parliament not only because I believe passionately in the inherent importance of protecting fundamental human rights but because the evidence demonstrates that those societies that protect and respect fundamental rights tend to fare better in their protection of other human rights. In preparation for this debate, I have worked closely with Open Doors, an organisation focusing on freedom for persecuted Christian Churches. I also thank Christian Solidarity Worldwide, His Grace, Bishop Angaelos of the Coptic Orthodox Church in the UK, and others who have circulated briefing materials ahead of today’s debate. Eurpean Parliament concerned about the situation of the Egyptian judiciary, women rights and Freedom of religion produces resolution. Urges the VP/HR and the Commission to develop the ‘more for more’ principle, with a particular focus on civil society, women’s rights and minority rights, in a more coherent and practical way, including clear conditions and benchmarks should the Egyptian Government steer away from democratic reforms and respect for human rights. A move by Egyptian authorities to prohibit national NGOs’ contact with foreign organizations without prior permission from security bodies represents a new low for freedom of association, said Amnesty International. 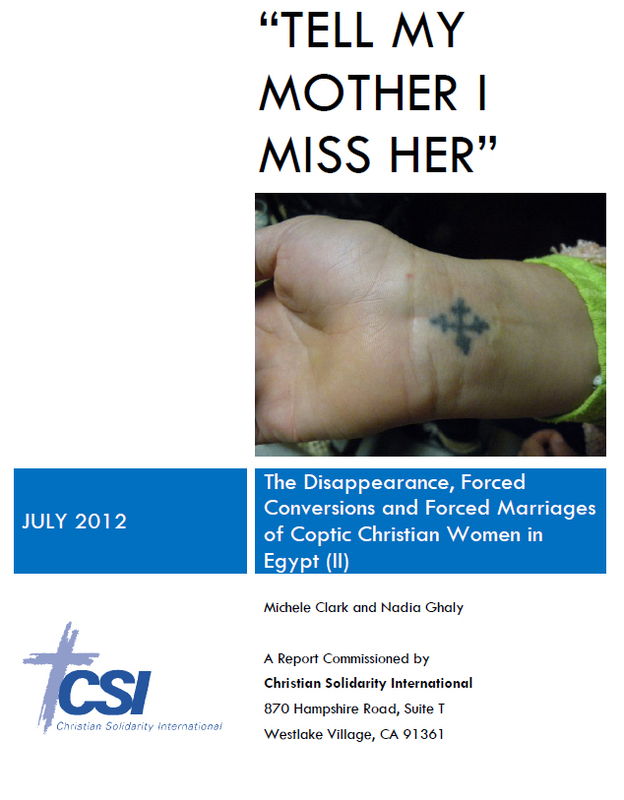 Attacks against the Coptic community, which rose substantially during 2011, continued in 2012. Although at the beginning of the year, leading members of the Muslim Brotherhood congratulated the Coptic community during the Orthodox Christmas celebrations, the Salafi movement very pointedly did not, and were again at the forefront of hostility targeting the Christian community. Threats and violence against the Coptic community, which have been particularly marked in Upper Egypt, include inequality before the law; pressure on churches with regard to construction, ownership or repair of buildings; abductions of female minors; murder; the torching of homes and businesses, as well as the anti-Christian rhetoric by Muslim brotherhood spokesmen, Salafis and senior Islamic clergy. This has been exacerbated by a continuing climate of impunity where perpetrators continue to commit crimes without prosecution. In addition, an increase in charges of blasphemy, insulting religion has occasioned problems not only for Christians, but also for atheists, moderate Muslims and those not adhering to Sunni Islam. 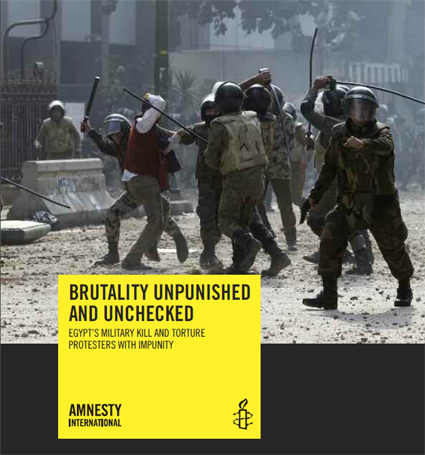 Human Rights Watch Egypt 2013 Report, total condemnation. Human Rights Watch Egypt 2013, total condemnation. The rocky transition from autocratic and military rule continued following the 2011 ouster of President Hosni Mubarak. Egypt held democratic parliamentary and presidential elections, and ended 31 years of rule under emergency laws. However, serious human rights problems remain, including police abuse and impunity; restrictions on freedom of expression, association, and religion; and limits on the rights of women and workers. Egypt’s first post-revolution parliament, elected between November 2011 and January 2012, failed to make significant human rights reforms before it was dissolved by the Supreme Constitutional Court on June 14 because the election law was deemed unconstitutional. Three days after the dissolution of parliament, the Supreme Council of the Armed Forces (SCAF), which had taken power after Mubarak’s ouster, passed an addendum to the constitutional declaration giving itself legislative powers, and a substantive role in drafting the constitution and limiting the powers of the new president. On June 24, however, Muslim Brotherhood leader Mohamed Morsy was declared winner of the presidential elections, and on August 12 he repealed the SCAF addendum and ordered the retirement of Field Marshal Mohamed Hussein Tantawy and Lieutenant General Sami Anan, the two most senior members of the SCAF. On November 22, President Morsy issued a constitutional declaration granting his decrees and laws immunity from judicial oversight, and dismissing the sitting public prosecutor, a move greeted with uproar and strikes by the judiciary. On November 30, the 100-person assembly started voting on the draft constitution, with a referendum due to take place 15 days after the final draft is approved. Read more: Human Rights Watch Egypt 2013 Report, total condemnation. More countries around the world are clamping down on religious freedom and harassment and intimidation of religious groups has surged, according to a new study released Thursday by the Pew Research Center. FINDINGS: Over the past year, the Egyptian transitional government continued to engage in and tolerate systematic, ongoing, and egregious violations of freedom of thought, conscience and religion or belief. Serious problems of discrimination, intolerance, and other human rights violations against members of religious minorities, as well as disfavored Muslims, remain widespread in Egypt. Violence targeting Coptic Orthodox Christians increased significantly during the reporting period. The transitional government has failed to protect religious minorities from violent attacks at a time when minority communities have been increasingly vulnerable. This high level of violence and the failure to convict those responsible continued to foster a climate of impunity, making further violence more likely. During the reporting period, military and security forces used excessive force and live ammunition targeting Coptic Christian demonstrators and places of worship resulting in dozens of deaths and hundreds of injuries. The government also continued to prosecute, convict, and impose prison terms on Egyptian citizens charged with blasphemy. Implementation of previous court rulings – related to granting official identity documents to Baha'is and changing religious affiliation on identity documents for converts to Christianity – has seen some progress but continues to lag, particularly for Baha'is. In addition, the government has not responded adequately to combat widespread and virulent anti-Semitism in the government-controlled media. نعلن نحن إتحاد المنظمات القبطية بأوروبا عن عودة الفراغ السياسي بعد سقوط شرعية السيد محمد مرسي العياط عقب صدور قراره بعودة مجلس الشعب المنحل لممارسة اختصاصاته رغم حكم المحكمة الدستورية العليا الذي نص بأن (هذا المجلس معدوماً منذ إنتخابه بما يترتب عليه زوال وجوده بقوة القانون دون حاجة إلى إتخاذ إجراء آخر كأثر للحكم.). فإننا إتحاد المنظمات القبطية بأوروبا نتضامن مع جميع قضاة مصر الشرفاء في المحكمة الإدارية العليا والقضاء الإداري والجمعية العمومية للمحكمة الدستورية العليا وندعوهم إلى الإمتناع عن الدخول إلى الجلسات حتى يسحب السيد مرسي العياط قراره رقم 11 لعام 2012 بإعادة مجلس الشعب المنحل ضارباً بأحكام القضاء وسيادة القانون عرض الحائط، كما أننا ندعو كافة شرفاء مصر داخلها وخارجها إلى الإنضمام لفضح التعدي السافر على حكم أعلى جهة قضائية في مصر وهو ما يمثل عدواناً لم يسبق له مثيل في التعدي الصارخ على أحكام القضاء. The Egyptian Initiative for Personal Rights today issued the findings of its investigation into the sectarian attacks on Copts in the village of Sharbat, located in the Amiriya district of the governorate of Alexandria, in late January. In the aftermath of the attacks, a customary agreement was concluded that entailed the expulsion of eight Christian families from the village, under the aegis of executive and security officials in the governorate, as well as members of parliament. The EIPR harshly condemned the failure of police and army forces to protect Christian residents’ homes and property, which was looted and torched following rumors that a Christian youth was circulating sexually explicit photos of himself and a Muslim woman from the village. The attacks took place after the young man turned himself in to the police and the prosecution detained him pending an investigation. The EIPR notes that the law does not permit customary reconciliation in cases of arson, and in sponsoring the customary agreement, governorate officials flagrantly violated the law, which necessitates a criminal investigation. Crimes Amiriya: collective punishment of the Copts and official collusion"Arabic"
أصدرت المبادرة المصرية للحقوق الشخصية اليوم نتائج تحقيقها في الاعتداءات الطائفية التي تعرض لها الأقباط بقرية شربات التابعة لمركز العامرية لمحافظة الإسكندرية في نهاية شهر يناير الماضي، والتي نتج عنها اتفاق عرفي معيب قضى بالتهجير القسري لثماني أسر مسيحية برعاية المسئولين التنفيذيين والأمنيين بالمحافظة ونواب برلمانيين. وأدانت المبادرة المصرية بأشد العبارات فشل قوات الشرطة والجيش في حماية منازل وممتلكات أقباط القرية التي تعرضت للحرق والنهب الجماعي على خلفية شائعة بقيام شاب مسيحي بتداول صور تجمعه مع سيدة مسلمة من أهل القرية نفسها، وذلك رغم قيام الشاب بتسليم نفسه للشرطة وقرار النيابة حبسه على ذمة التحقيقات. وشددت المبادرة المصرية على أن جريمة الحرق العمد لا يجيز القانون التصالح فيها، وأن مسئولي المحافظة الذين رعوا الاتفاق العرفي ارتكبوا بذلك مخالفة صريحة للقانون تستوجب التحقيق الجنائي. Read more: Crimes Amiriya: collective punishment of the Copts and official collusion"Arabic"